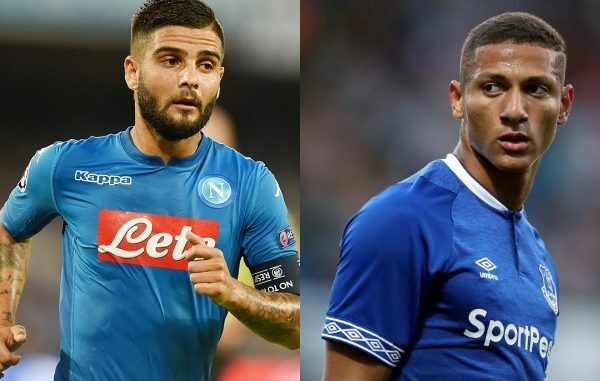 Chelsea have added both Everton’s Richarlison and Napoli’s Lorenzo Insigne to their list of possible targets should Eden Hazard depart from the club this summer transfer market, according to a report. A British daily tabloid newspaper The Daily Mail reports that the Blues are planning for life without the Belgian key man, with a move to reigning European champions Real Madrid looking increasingly likely. It was reported earlier this week that Eden Hazard was ready to tell Chelsea’s management of his desire to complete a summer transfer to Los Blancos. That leaves the Blues searching for a replacement, with American star Christian Pulisic already joining the club in the summer. Insigne has been heavily connected with an EPL move in the past, with Liverpool known admirers. The London-based outfit have also been following Richarlison’s development for a while, with the club’s interest dating back to before the star joined Watford. Prior to his first move to the EPL, Chelsea were known to be keeping a close eye on him, but Brazilian would go on to join the Hornets before eventually following manager Marco Silva to Everton. Barcelona’s attacking midfielder Phillipe Coutinho is another name that Maurizio Sarri’s side are keeping tabs on, with his future at the Camp Nou unclear.